Join us on Wednesday, July 20th at the Marriott Marquis (Yerba Buena Ballroom - Salon 7), in San Francisco for a packed day of learnings on all things monetization and retention. Come and hear from our Developer Evangelists and industry leaders who will share best practices and actionable tips on how you can optimize and monetize your games and turn your IP into a brand. The developer day is complimentary and doesn't require Casual Connect event badge access. The theme for the day is 360° Monetization and we will be talking about all the ways you can monetize inside your game and outside. We’ll start the day by sharing easy steps that you can take to optimize your app store listing to make sure your game gets discovered and downloaded. You’ll hear from our Developer Evangelists on common trends within the Top 50 apps, so you can learn what you should be doing to get to the top of the charts. Industry leaders and top game developers will join us to discuss retention and monetization best practices. You’ll also hear from leaders at Twitch on how you can turn your players into fans and build community around your game. A light breakfast and lunch will be provided along with the opportunity to win some awesome prizes. Register here for this exciting event! Or to learn more about Casual Connect visit their event page here. We look forward to seeing you in San Francisco! Merely saying “analytics” causes some indie developers to recoil. For others it conjures up a nightmare of services and analysts far beyond the scope of a small team. While true that much of what I’ll call non-creative game design involves using data to predictably cause player behavior, data itself is not inherently evil. In “Understanding your game through data” author Sergey Galyonkin offers an in-depth look at how to put data to work in your game design. I recommend reading it but if you need a little more convincing, read on. To hopefully assuage any remaining fears, Galyonkin notes up front his discussion focuses on indie game design, not free-to-play optimization. From there the article gets down into practical applications of data in the development process to which I think every game designer can relate. These cover all three phases of a game’s lifespan: preproduction, active development, and postlaunch. Yes, data plays an important part in preproduction. If it helps to think of it as research then do that but whatever you call it, the concept comes down to figuring out how to get the creative vision of your game in sync with your players. Without getting to far down the philosophical rabbit hole, one of the chief challenges any medium faces comes from the disconnect between the intention of the creator and the interpretation of the audience. Besides recognizing this, steps can be taken to give yourself meaningful guidance on how to get your vision across. Gather intelligence on similarly themed content in other media, play games that share elements of your mechanics, and then assess how the audience reacted in these cases to gain understanding for what you face. For a small team play testing poses a daunting task. Don’t let that be an excuse not to do it. During development you hold the opportunity to respond to those places that aren’t connecting the intended way before everyone plays your game. This covers everything too, from the high concept level to basic player interactions. Questions to observe include how closely does my intended art direction match the atmosphere players perceive? Where do my game loops lose the player? And how easy is it for the player to understand how to play the game. I do a lot of judging for indie game competitions around the world and I’ve had the unique pleasure of seeing hundreds of very strong entries at the Casual Connect Indie Prize Showcase in Amsterdam a couple of weeks ago. (Check out this great video!) In a typical indie competition, I’ll see half a dozen un-inspired, non-differentiated match-3 clones and other clones that don’t even meet the bar set by much older games in that category. Yet occasionally, I see a refreshing twist on one of these classic games. Or in the case of the Indie Prize at Casual Connect Amsterdam this year, I saw several. I’d like to share two of those with you here. 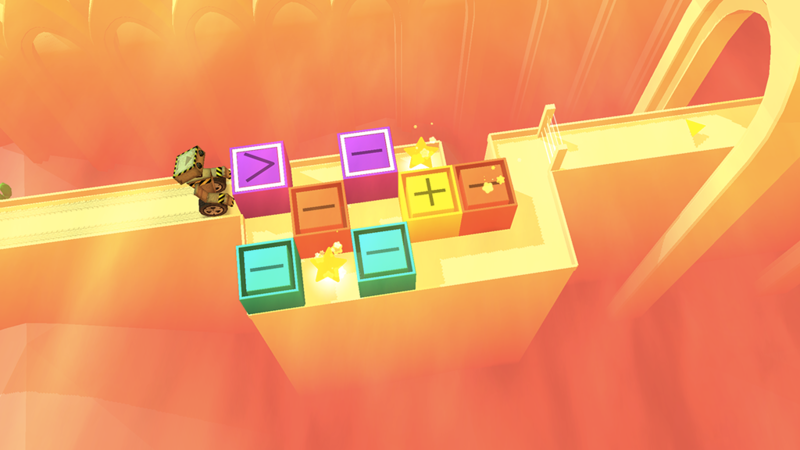 The first is a sliding block puzzle game where you move blocks around to create a path out of which you can exit. I’m sure you’ve seen dozens of these kinds of games, if not more; but this one is different. It’s After Loop by Sebastian Le Touze. (currently available in iOS, Android coming soon; monetization by unobtrusive IAP). Handsome graphics and a loveable little protagonist (a robot named PR8) are already enough to make this game stand out, but it also has unique puzzles and a functional and engaging in-game menu system with which you choose new levels and challenges by guiding PR8 down the path corresponding with your choice. 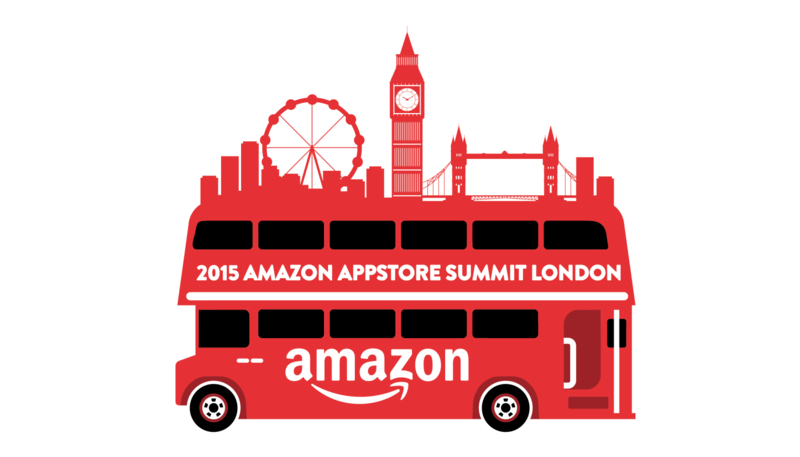 On November 3rd 2015 300+ attendees, two tracks about monetization and gaming, 13 sessions, multiple guest speakers and the Amazon Appstore evangelists animated a very successful developer-focused conference: the Amazon Appstore Developer Summit 2015, which took place at CodeNode, London. The Amazon Appstore Developer Summit focused around unique insights into the Amazon Appstore ecosystem, emerging user interfaces and devices that are driving new user behaviors, like Fire TV and Amazon Echo, and new business models like Amazon Underground and Merch, which are opening up opportunities for customers and the developer community. Building games as an indie or AAA studio is serious business. Join the Amazon Appstore and AWS during our GDC developer day event on March 15th, 2016 as we teach you everything from game ideation, creation, scaling, monetization, marketing, polishing and publishing. We have an incredible line up of speakers, including Amazon evangelists and industry thought leaders from Twitch, Backflip Studios, Yacht Club Games and King. Come get practical advice and best practices on how to scale the business side of your game development. The developer day is part of the official GDC programming, so if you are attending GDC make sure to come out and check out the full list of talks we’ll be giving. Click here to register. We've entered a golden age of creativity and experimentation. 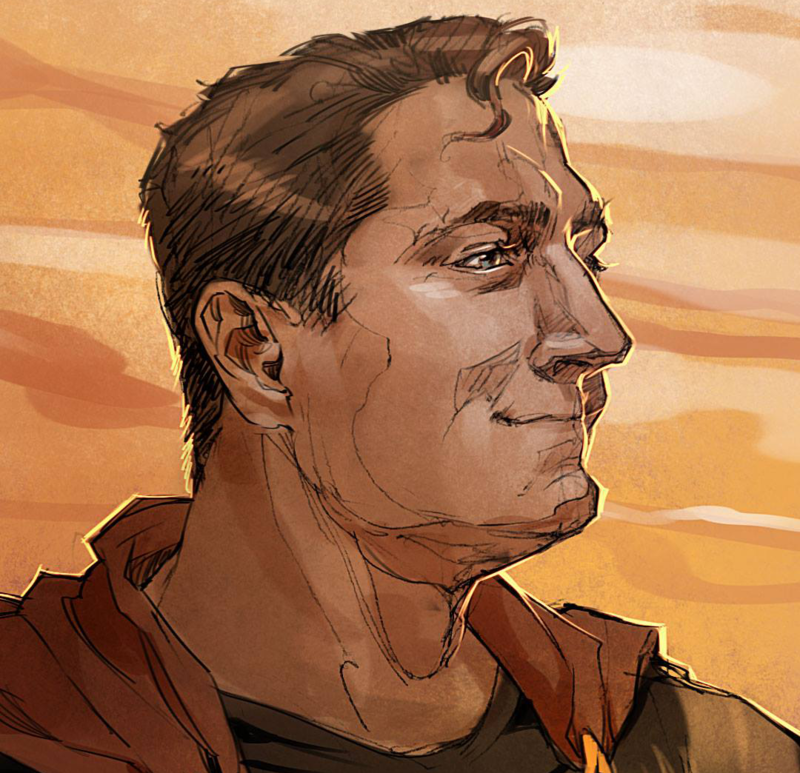 Today, anyone with an idea can build a game and publish it to a global audience. How does the gifted amateur become a pro game developer, and from there, a games industry success story? Hint: it requires more than just programming or artistic talent. In this session, we'll show you how to approach game development as a business - even if business isn't your "thing." We'll look at the single most-important skill you can develop, and show by example what happens if you neglect it. 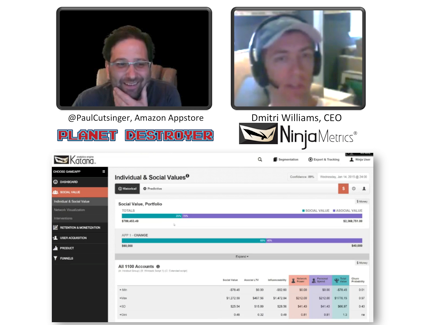 We'll also offer practical insights on choosing a game genre, development environment, and target hardware as well as how to monetize your game. Want a great chance to show your game to the media and indie game community? Well, you’re in luck because it so happens we can make that happen. We have 4 slots available in The MIX 2016, and we’re looking for the next indie game that will get people talking. The 5th MIX showcase is happening March 14th from 7pm till late at the IGN headquarters, 625 2nd Street in San Francisco. What do you have to do to get in on this you ask? Easy, send your game to me. Okay, there’s a little more to it than that but not much. Submit your game and be ready to demo it on an Amazon device like the Fire tablet or Fire TV. For more details, including how to submit your game for consideration, read on. Every Wednesday on Twitch I experiment with ideas I don’t normally have time to work out into my games. I don’t always expect to have usable code at the end of the stream but one recent experiment yielded a simple camera panning code I thought I would share. 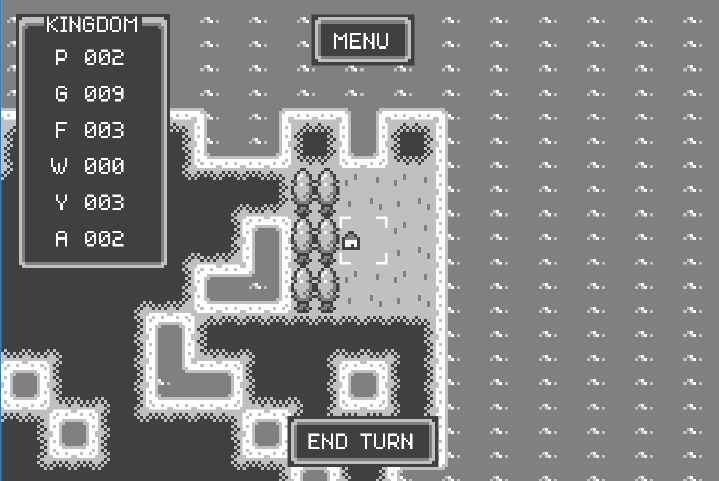 This type of technique works great in RPGs and RTS style games with a large map the player must move around in order to see what is going on. In this case I already had the game, Kingdom By The Sea, which I created for Ludum Dare 34. Sometimes, especially when you are building a game during a jam, you don’t have the time to create a fully fleshed out GDD. In this situation I plan on continuing development on my game and I’ll also be working with an artist, so breaking out each part of the game’s core mechanics not only help me collaborate but map out the details and scope of what I need to do over the next few months. In these videos you’ll see how I start with the prototype of the game, break down each pert of it and document it. Over the course of 2 hours I end up with a 40 page GDD which has everything I need to begin planning my next few months of development on the game. In part 5 of this multi-part video tutorial series, we’ll go over how to build a simple 2d side scrolling game for the Amazon Fire TV. In the previous videos (part 4) we covered working with input. In today’s videos we’ll go over working with the camera and making it follow a player. All of these videos are recorded from my Twitch game dev channel which you can watch daily from 9:30am – 12pm EST. Stay tuned for more videos on building Unity games for Fire TV. In part 4 of this multi-part video tutorial series, we’ll go over how to build a simple 2d side scrolling game for the Amazon Fire TV. In the previous videos (part 3) we covered working with sprites in Unity new 2D workflow. In today’s videos we’ll go over working with mouse input and controllers. It’s the end of the year again and with that, it’s time to celebrate the last Ludum Dare of 2015. Ludum Dare is an incredibly popular online game jam. While the event is primarily online, developers still meet up in person around the world to also take part in the 48 hour compo or 72 hour jam. Each year we help local Seattle game developers find a space to work on Ludum Dare. This year we are partnering up with Indie Game Spark to offer developers a space at Surf Incubator in downtown Seattle to take part in Ludum Dare 34. Registration is here. You need to register ahead of time in order to take part in person. Food and drinks will be provided along with wifi and a space to work. If you are new to Ludum Dare, check out the rules for the event. Hope to see you at the event and if you can’t make it, check out this page for other in-person Ludum Dare events around the world. For anyone who has toyed with the idea of creating a mobile game but felt intimidated by the technical requirements, Amazon’s Ankur Prasad shows how to build a game without programming code. Level Zero is a tutorial eBook that explains, step by step, how you can use Scirra’s Construct 2 to set up characters, create backgrounds, and implement game mechanics—all without complicated coding. 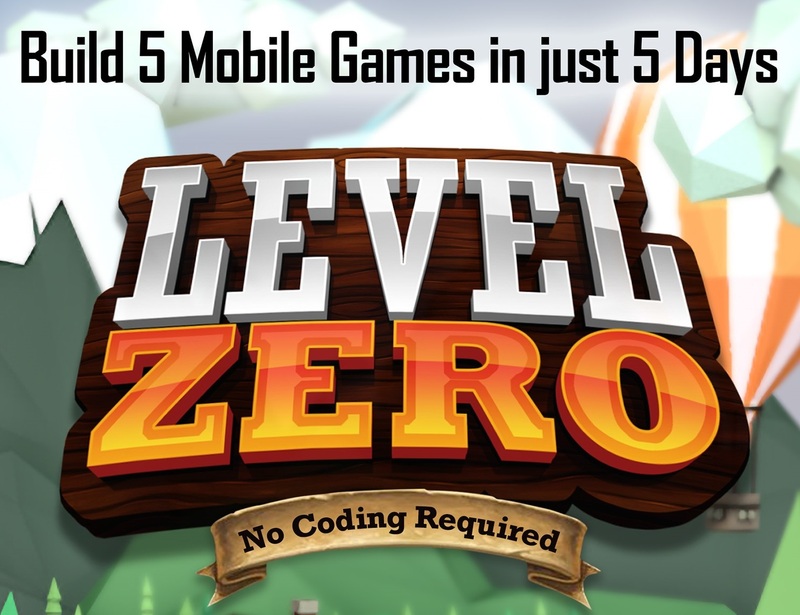 Level Zero introduces the beginning game developer to Construct 2, a development environment that allows you to build rich interactive experiences through a drag-and-drop behavior system. Published and originally available only on Amazon, Level Zero can now be downloaded for free from Scirra’s website.